It’s time for Hickman County Alumni to help the 2019 graduates achieve their dreams of attending college! Kindergarten registration at Hickman County Elementary School will take place on Thursday, April 11. Registration is for parents of students who do not currently attend HCES preschool. Parents should register new students in the HCES office between 5 and 6 p.m.
Current HCES preschool students (and their parents) moving up to kindergarten need to attend Future Falcon Night, scheduled for 6 p.m. in the gym on April 11. 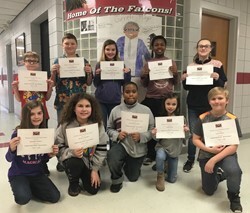 Hickman County Elementary School recently recognized its Students of the Month for February. 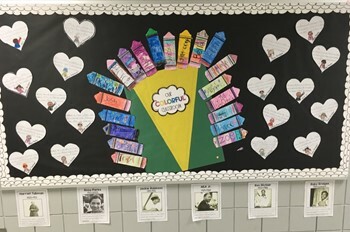 The character trait emphasized in February was Show Respect to Myself and Others. 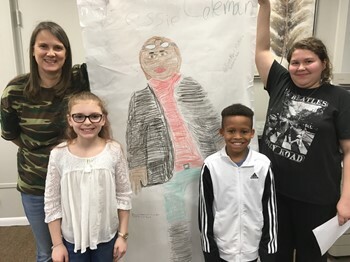 To correlate with Black History Month, students are shown with research projects completed by HCES fifth and sixth grade students regarding famous African-Americans and their achievements. 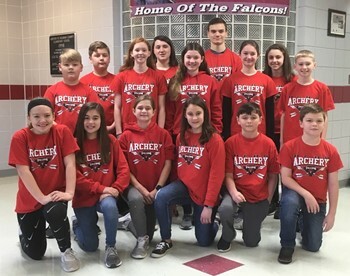 Sixteen Hickman County archers will make the journey for the state archery competition, scheduled for late next week at the Expo Center in Louisville. Fifth grade students, Shamarian Gray, Abbi Frizzell and Abbey Bellew presented their Black History Month research projects at the Hickman County Board of Education meeting. Click Read More for details. 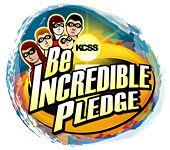 HCES will sell yearbooks by pre-order only February 19th-March 8th. Forms have been sent home previously – extras are available in HCES office. Please note when ordering online a small fee will be applied. Yearbooks should be in by late April/early May. 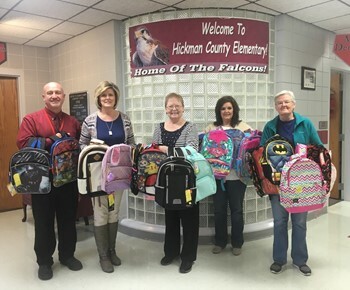 Representatives from the local WoodmenLife organization recently donated more than 20 backpacks to the Family Resource Center at Hickman County Elementary School. The donation, part of the community outreach program for chapter 978 of the WoodmenLife organization, is on behalf of the fraternal organization’s effort to help the community. “We knew at this time of year that many students have backpacks that need to be replaced,” said Wanda Holbrook, treasurer for the local WoodmenLife. The donation was made recently to Vickie Batts, director of the Hickman County schools’ family resource center, and Richard Todd, HCES principal. 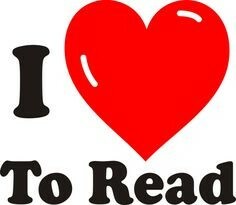 I Love to Read week will be celebrated Feb. 25-March 1st at HCES. Guest readers, DEAR time, StoryFest and much more! Click full article for schedule of events and theme days. 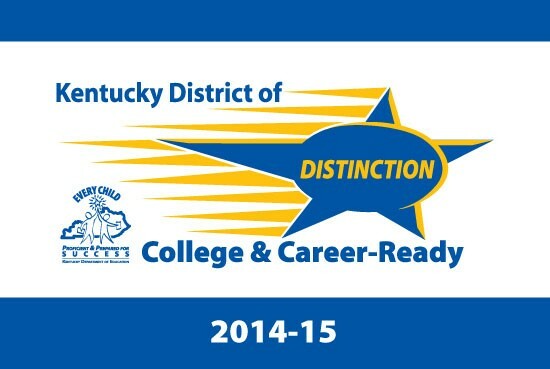 HCMS 8th grader, Graham Carroll, is on his way to compete at the state level in science. 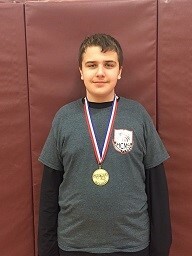 On Saturday, February 2, Carroll placed second in science written assessment at the Regional Governor's Cup academic competition held at Carlisle County Middle School securing his spot in Louisville next month. The Hickman County Elementary and Middle School choirs performed Tuesday at HCES for family, friends, and the public. Both choirs, under the direction of Cody Pinson, music teacher for Hickman County schools, performed both Christmas songs and classic tunes. 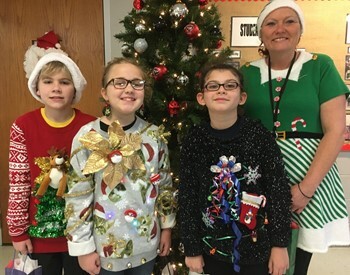 Hickman County Elementary School held an ugly Christmas sweater contest Friday for both staff and students. 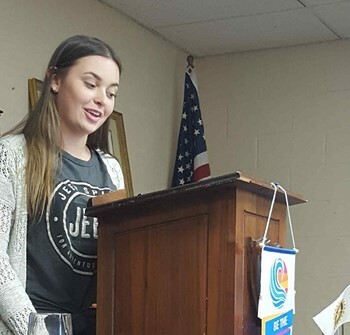 HCHS Lighthouse Team Member Jenna Moore recently spoke to the Rotary Club providing details about the county-wide Community Service Day on October 5th. HCHS students recently experienced a Kentucky Chautauqua featuring Harry Smith playing the role of Kentucky Militiaman Private William Greathouse. Four HCHS students recently participated in a week-long residential summer program at Murray State University. This year’s theme for the TRiO Talent Search ACT Boot Camp was “Tackling the ACT.” Students participated in morning classes that focused on content area strategies for the ACT English, math, reading, and science sections. In the afternoon, students participated in electives that helped them explore skills in journalism, art, Spanish culture, and physical education. Students also attended workshops that focused on organization, financial literacy, and career exploration. 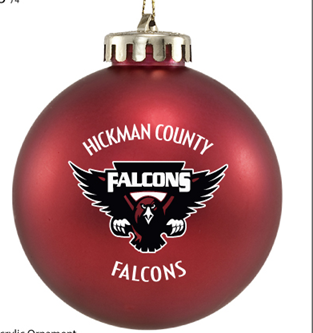 HCES Library is selling a limited number of Falcon ornaments. Each is 3 1/4 inch acrylic with our HC Falcon. $7.00 each and comes in own gift box. Please see Mrs. Taylor at the elementary library to purchase. Students and staff returning to Hickman County Elementary from spring break had an unexpected surprise Monday! To learn what we do in the name of safety each and every day, read Superintendent Henderson's letter regarding our renovation plans over the next year that have already been approved by our Board this past fall and some helpful suggestions of what parents can do in case of any emergency. The Hickman County Archery Team continued its spectacular showings for the 2017-18 season as six individuals placed among the top qualifiers Saturday at the regional competition in Marshall County. Those placing among the top finishers in their respective categories include: from left, James Clark, Lane Cunningham, Callie Douglas, Dallas Williford, Cora Clark, and Brooklyn Naranjo.